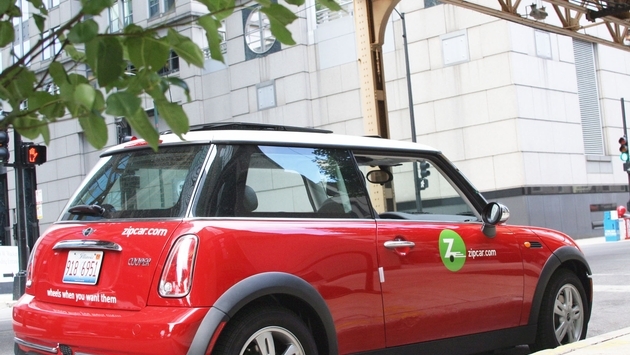 A new study has found that workers who use the Zipcar service are less likely to own a car than those who do not use the car sharing program. In a report from University of California, Berkeley’s Transportation Sustainability Research Center (TSRC), two in five corporate Zipcar members sell or avoid buying a vehicle after joining the car sharing service. Corporate members are classified as people who join a car sharing program through an affiliation with an employer. Overall, the study reports the use of Zipcars for work has helped decrease the need for at least 33,000 vehicles on the roads of North America. Of the people who abandoned car ownership, 41 percent take public transportation, 22 percent travel via bicycle and another 41 percent walk more often.